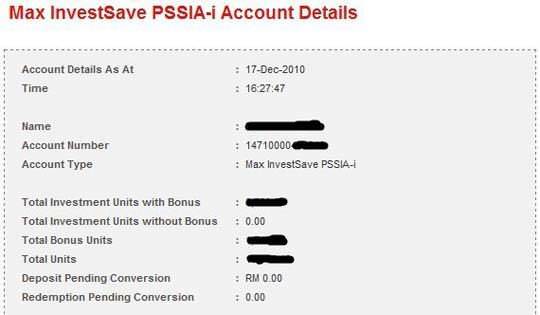 CIMB Max InvestSave PSSIA-i was launched in October 2008 but only recently the function to view, invest more or make redemption are available in CIMBClicks. The functions is very useful for Max InvestSave account holder. If you are not familiar with CIMB Max InvestSave PSSIA-i kindly go to “CIMB MaxInvestSave” page to read more about these funds. To view historical Reference Index Value (RIV), you can browse RIV Charts for Max InvestSave page. For the past 2 years, the funds did not perform really well, it is still below the initial price of RM1 although the highest prices was about RM1.07 soon after launched. Maybe it is due to the fact that the funds are related to Euro Currency which is performing really poor due to economic situation in Eurozone. I hope it will improve later. What do you think about this funds? 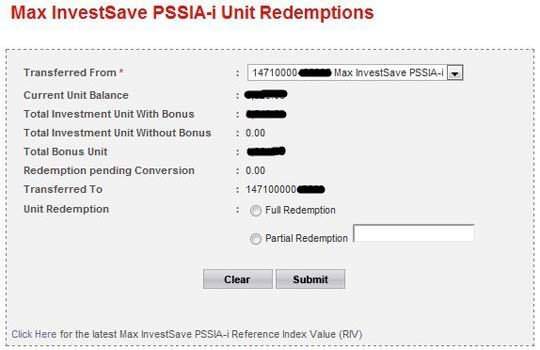 Below are some short explanation on how to utilize Max InvestSave functions in CIMBClicks. 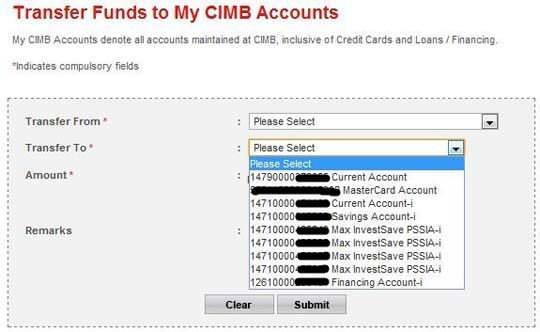 If you have Max InvestSave with CIMB, you will see the following screenshot in your account details page. You will see all your Max InvestSave accounts details including total number of units in each accounts. Click on account numbers will give you more details on the account information including the numbers of bonus units as shows in the screenshot below. To make more investment, you have to go to “Transfer” Funds Menu & “Transfer to To My CIMB Account”. You will see the following screenshot. More investment can be done via transferring money from your saving or current account. Bear in mind additional investment can only be done in multiple or RM50. To make unit redemption, under “Manage My Account” menu, you will see “Max InvestSave Redemption”. Click on it and you will see the following screenshot. Key in details and submit the form to make redemption.